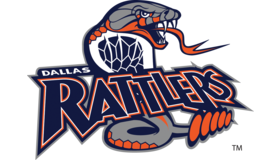 How to Create a Snake Logo? In the Eastern cultures, a snake is a symbol of wisdom, health, and rebirth. The famous Hippocratic cup with a snake has become a popular logo used by thousands of medical facilities and pharmacies all over the world. This image has the connotations of security and reliability. As for geometric shapes, feel free to use a circle or triangle that resembles a cobra’s hood. Snakes are all about movement and flexibility, so avoid “rigid” forms, such as a square, rectangle, and cross. A complex and intricate image, a snake will look great even on a white background. If, however, you choose to add a colored background, go for delicate patterns and shades. In nature, reptiles come in an abundance of hues. There are no strict rules as to which shades to use and which ones to avoid. The main thing is to craft a tasteful color scheme. How do I create a snake logo for my brand?